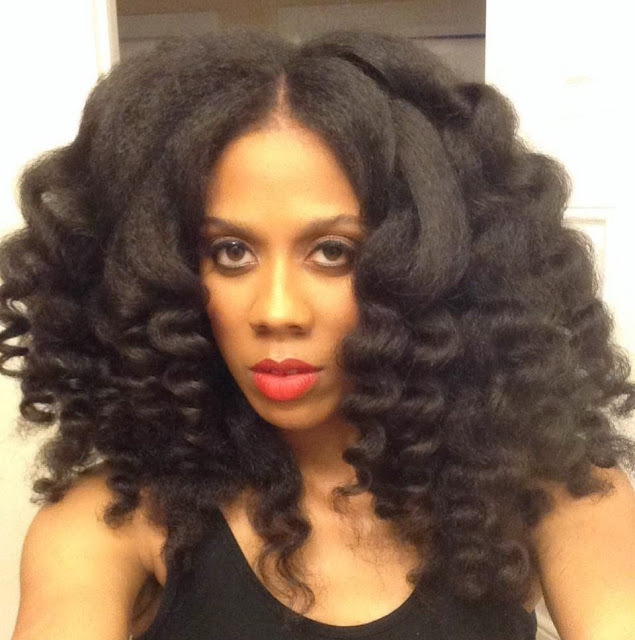 One of the biggest challenges for transitioners is which hairstyles to try. The best hairstyles to try are Twist and Curls, Braid and Curls and rod sets (flexi rod and perm rods)– they help hide the two textures and are easy to manage. You should try to experiment with different styles that work best for you. There are a TON of YouTube videos on how to do your hair in just about every style you ever thought of. I know that you are like, ‘ugh my hair is so not growing’, but actually it is. It can be very frustrating to try to deal with two different textures, but you can stick it out. If you’re really serious about this process of transitioning, some patience will be required. Remember you can always cut the relaxed ends off when you are ready. My advice is to do it on your time. Don’t feel rushed or pressured if you are not ready to say goodbye to your ends. You can also wear your hair in protective styles to help you through your transition (like Marley Twists or Box Braids).